The management of the customers is one of the most arduous challenges that every contemporary business owner has to face on an everyday basis. Today’s competition-driven era forces enterprises to go beyond their otherwise busy schedule and devote time to address the issues of the customers. All this is impossible unless a service provider makes sincere efforts to develop a close relationship with the customers. The focus on the management of a relationship between a company and its customers eventually gave birth to customer relationship management services. The establishment of a robust platform for the management of relationships with customers is itself as important as the expansion of a company’s customer base. However, the task does not end with the identification of effective CRM technologies. At the end of the day, ideas do not bear fruit unless they come to the surface. This implies that the employment of robust strategies for the alignment of personnel with business functions and the goals of the customer relationship is essential. Vcall Global understands that the management of the database is one of those critical factors on which customer support depends to a large extent. However, this is impossible in the absence of an easy to understand yet effective CRM platform that enables the tracking of customer life cycle right from the time he calls up for the first time. We never claim that all our customers are happy with our relationship management capabilities. However, our technical capabilities and the efficiency of human resources have given us the prowess to develop state-of-the-art yet flexible CRM solutions. The element of flexibility is essential to a customer service platform because the customer base of a global enterprise can never be heterogeneous. In addition, the availability of most advanced equipment and cutting-edge technologies at our facilities further encourages our personnel to deliver their best. Why Vcall Global when there are many others? The integration of our customer management solutions with IVR technology allows a service provider to offer a history of the purchase pattern that a customer has followed over a period of time. This not only facilitates better understanding on the part of a service provider but also allows companies to decide what is good for a customer. We understand that as an entity you differ from your counterpart on various grounds. This is the reason we build solutions that meet your unique business requirements. 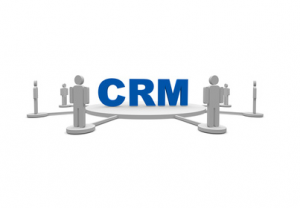 In addition, we see to it that the utility of our CRM solution is not limited to a specified function and encompasses various modules like Inventory, Shipping and Customer Service. As your CRM partner, we not only ensure that you are able to manage your customers in an efficient manner, but also connect with your affiliates including shipping enterprises, payment processors and warehouse vendors.